Just a quick update today to share this image with you: it’s an image of subject AHH0000kf4, a possible candidate for a cosmic ray. 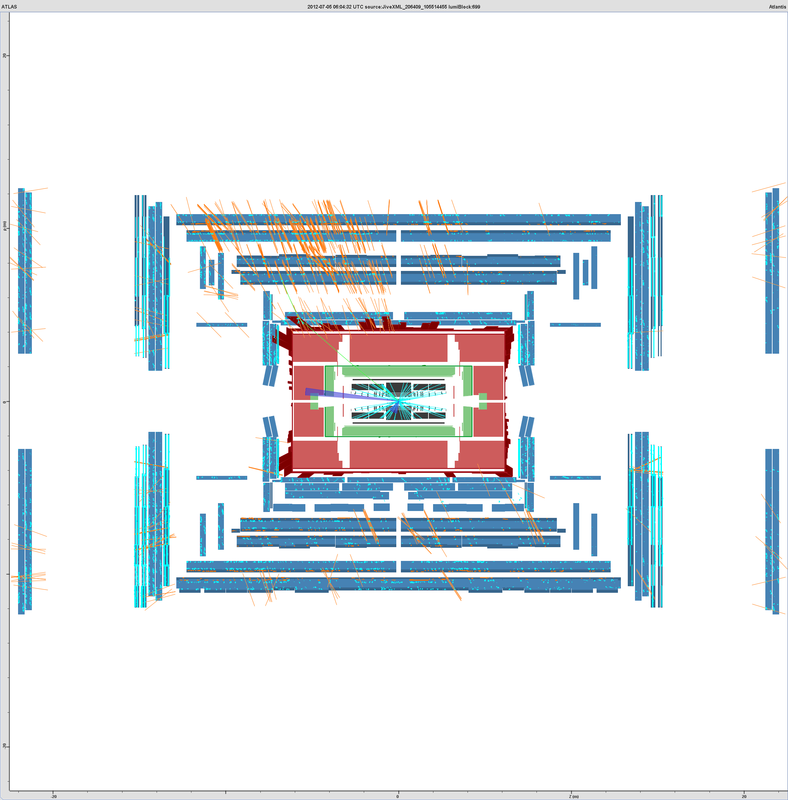 The prominent orange markings, which are present on only a few of the images of this type, are “muon track segments” reconstructed by the detectors. This is slice view, but it looks different to the one you’re used to, which is a zoomed-in and heavily fisheyed version of the central detector – great for detecting any OCVs, but it doesn’t show these particle tracks as well. This was a very striking image, I hope you enjoy it too! 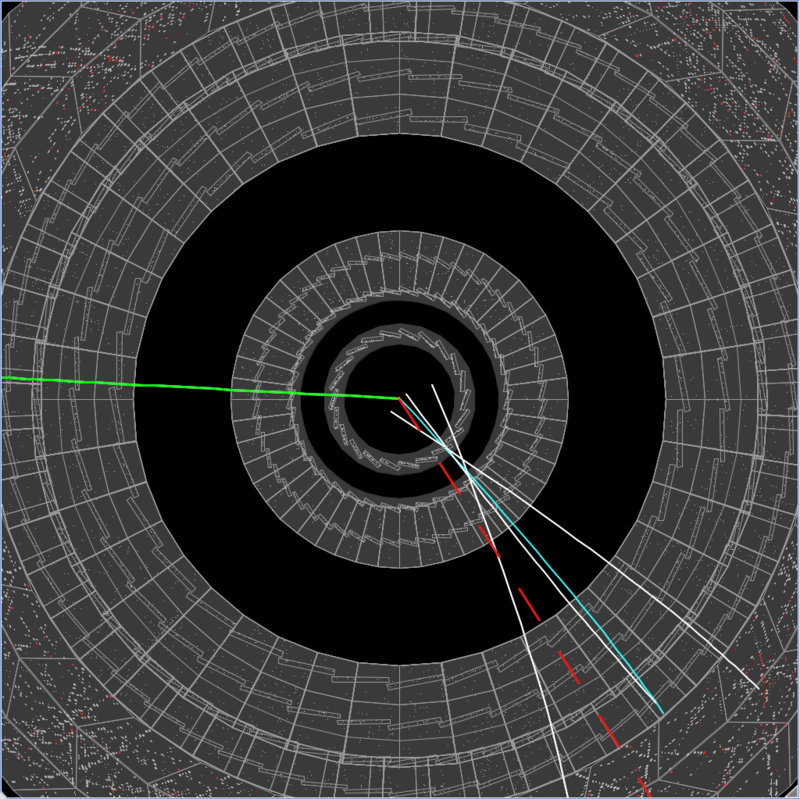 If you then set the parameter in the “Value” box to around 14, you’ll produce an image closer to those we see in Higgs Hunters. Minerva gives you a series of events to classify and you should be able to check your answers on the internet – the events can be scrolled through using the arrow keys. 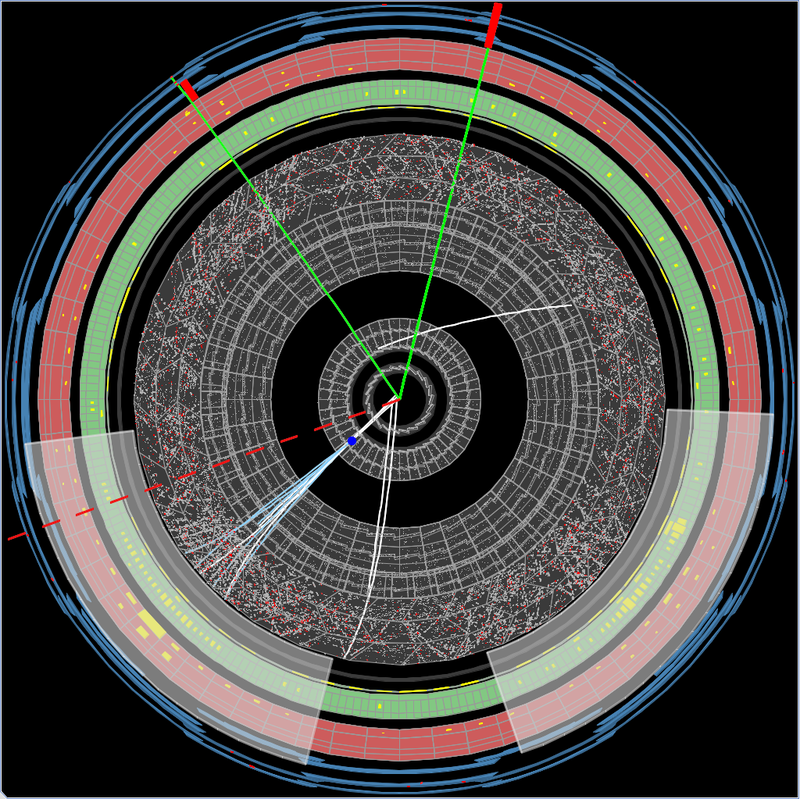 The last few should contain Higgs boson events! Happy hunting! Further to Andy’s identification of a hadronic interaction, where an apparent OCV is produced by interactions between particles and parts of the detector, I’ve identified some candidates for hadronic interactions. This is a small subset of those candidates. What do you think? Do these tracks that originate from a piece of detector material? 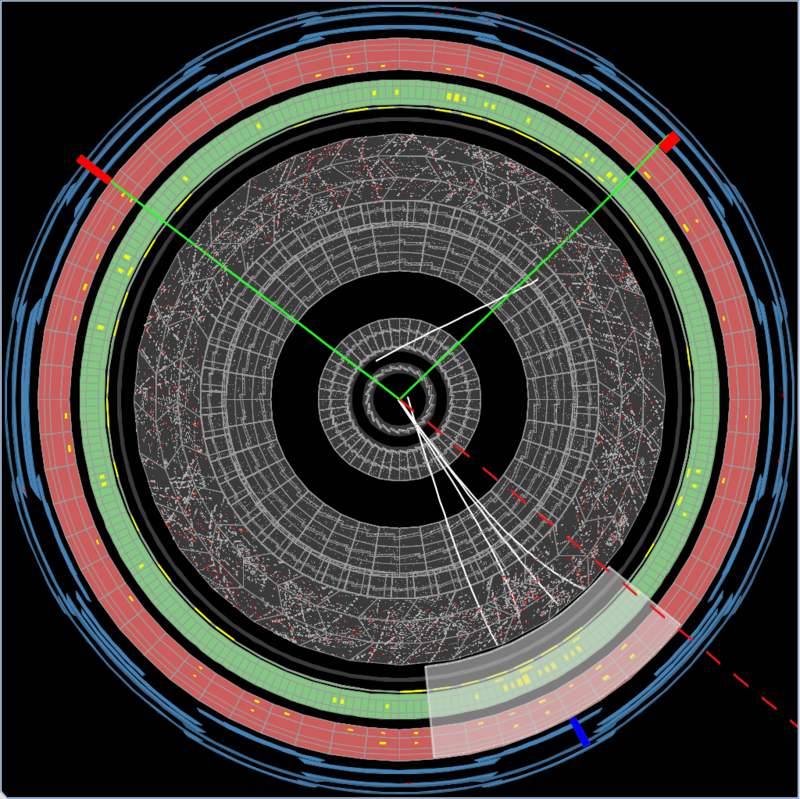 How many of these have you seen during your Higgs Hunting escapades? We’ve selected a small subset of the data images that a lot of people flagged as unusual and we’re hoping to analyse the data from these events in more detail. 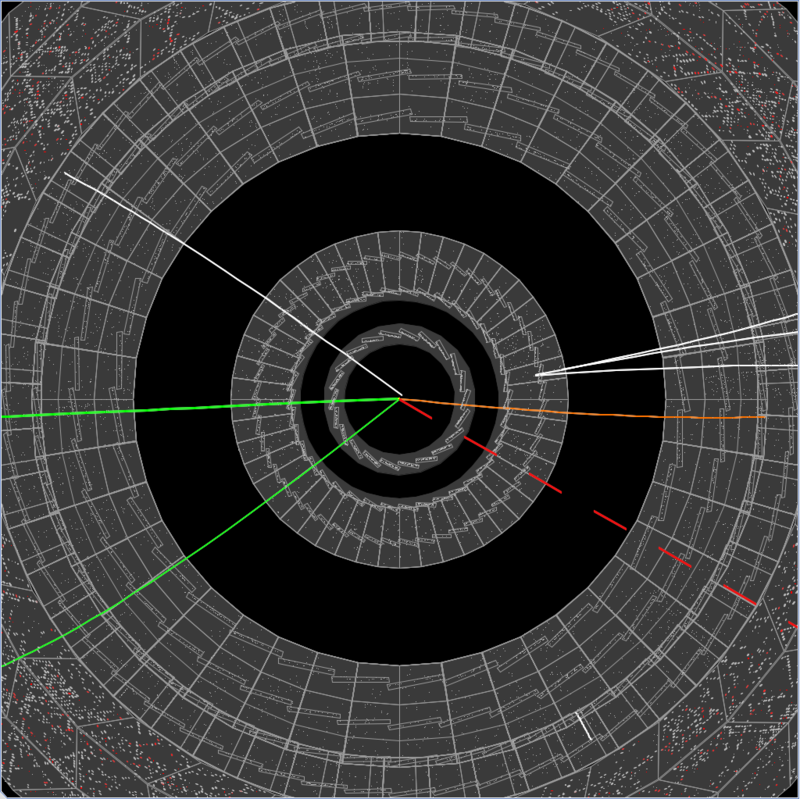 An interesting phenomenon, which may well be caused by an error in the system that draws particle tracks or in the detector, are the muon tracks that bend sharply. A few of these also look like cosmic rays. Feast your eyes! Beautiful! 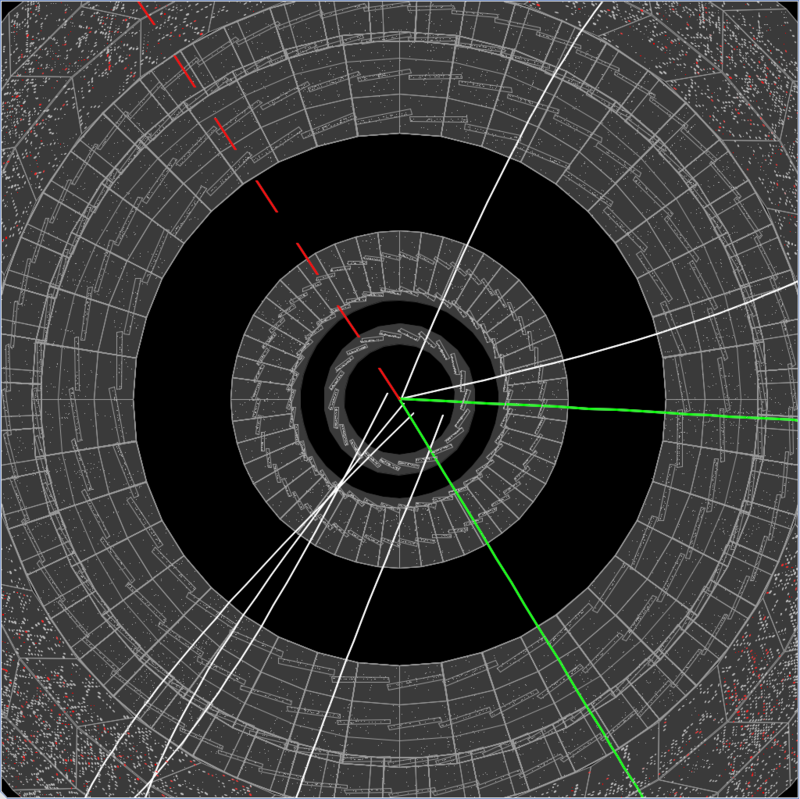 This is clearly a “hadronic interaction.” A standard particle (like a pion) has come from the collision and hit a bit of material (probably a silicon tracking detector sensor) in the detector, producing a secondary assortment of standard charged particles, which we see as displaced tracks coming from the displaced vertex. 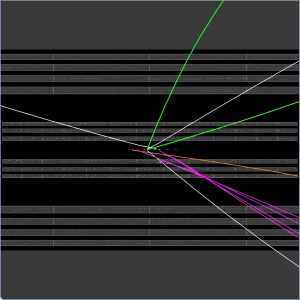 You can tell because the vertex is found exactly at a layer of tracking detector—the third layer, in both the normal and slice views. Join the hunt at Higgs Hunters today! AHH0000k2d has an interesting track that appears to go backwards! As discussed in the FAQ, the colourful tracks usually indicate OCV tracks found by a computer algorithm. In this case it’s pretty clear that humans found some tracks that the computer missed! Again, a mixture of tracks that were found by the computer and those which required humans to find! This is one of the many images you’ve identified with missing muons – we’ve seen a few of these which were diagnosed as cosmic rays, but this one seems to have an OCV as well. Good work, everyone – keep it up! 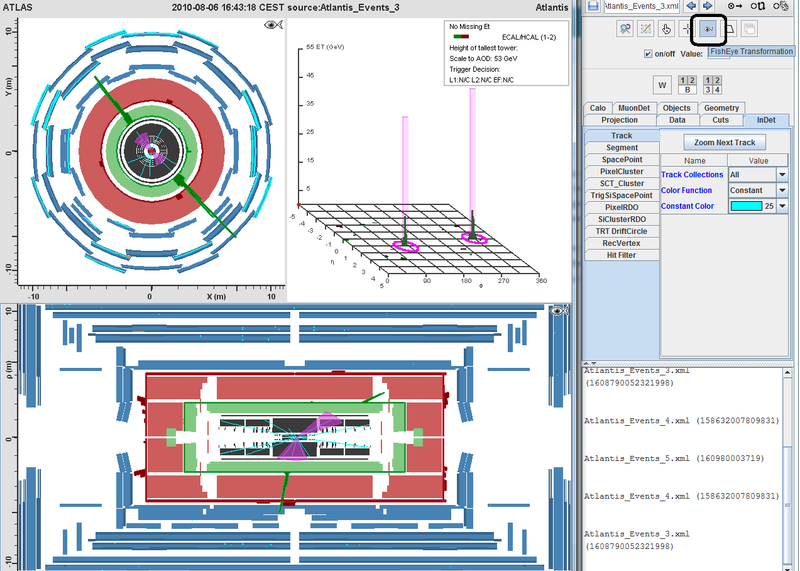 Since the last time this blog was updated, the LHC has been restarted and, in the last month or two, the floodgates have been reopened and data from the detector has again started to flow. In the finest traditions of Hollywood, the sequel will take all the elements of the original and turn it up to eleven – or, in this case, 13 TeV, the new collision energy for protons in the LHC. These record-breaking energies mean that the protons are travelling at a brisk 0.99999999c. At such speeds, the relativistic effect of time dilation means that – if you survived – every second you experienced would be nearly two hours for your friend remaining on earth. These effects, while fascinating, have been well-understood for many years: even the Higgs boson had been predicted in 1964. 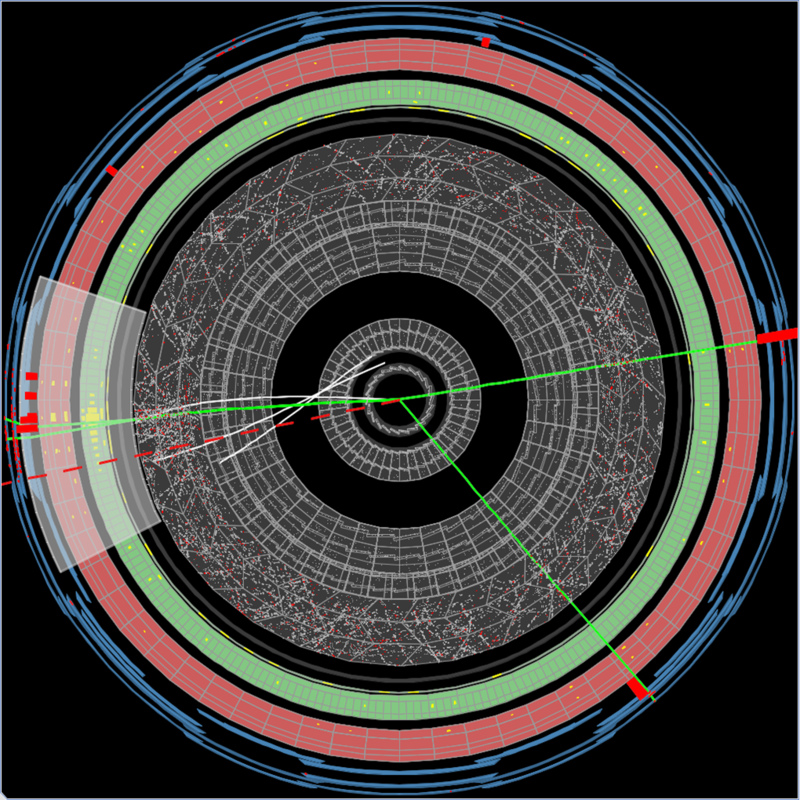 The exciting prospect with the second run of the LHC is that we are entering the realm of new and sometimes controversial physics. While the first run had a clear target, the Higgs, at a known energy, the second run aims to ramp up the collision energy and simply see what we find. The potential candidates for discovery by this second run-through are numerous. If there is a new ‘holy grail’ of particle physics after the discovery of the Higgs, then arguably it’s dark matter – a name to make film studio executives drool, certainly. On the face of it, you might wonder how particles which are apparently so arcane and difficult-to-produce can really be relevant to our world at large. After all, none of the potential candidates for dark matter have ever been isolated or observed in the laboratory. But it is a testament to the beauty and complexity of the universe that the smallest details of the fundamental particles that make it up can have a huge impact on the grandest possible scale. 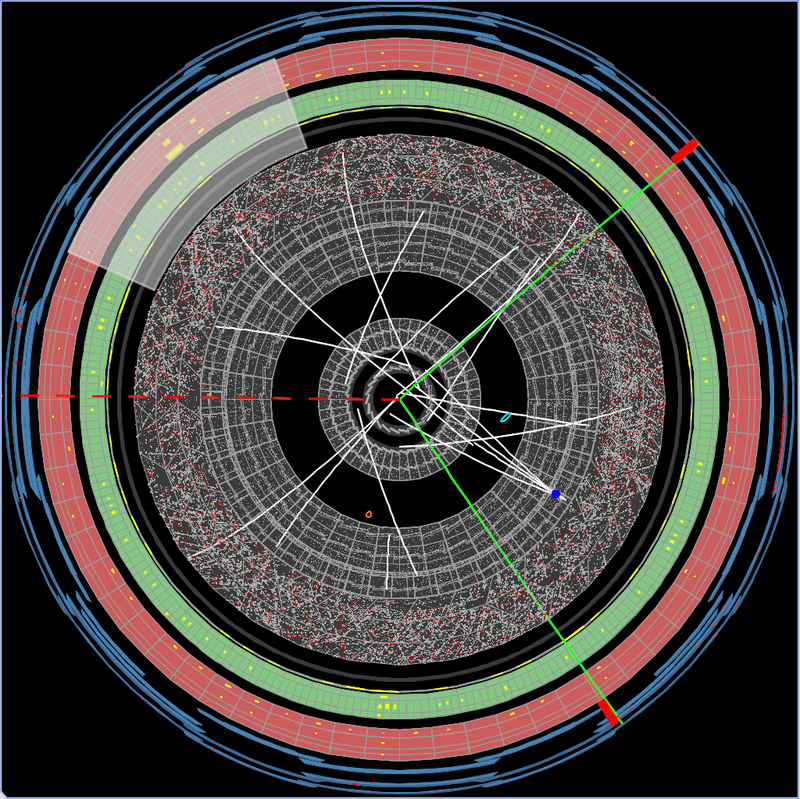 Take another boson – not the Higgs, but the W boson, which mediates the weak interaction, detailed in this post. If the mass of this particle were to be slightly greater, the rate of nuclear fusion in the sun would be quicker, it would have burned for a briefer time, and humanity may never have had time to evolve. If its mass were below a certain threshold, the Sun may never have produced enough energy to allow life to evolve. For the first particle physicists, this fortunate lifespan was observed by measuring the length of a line of bubbles in a cloud chamber. 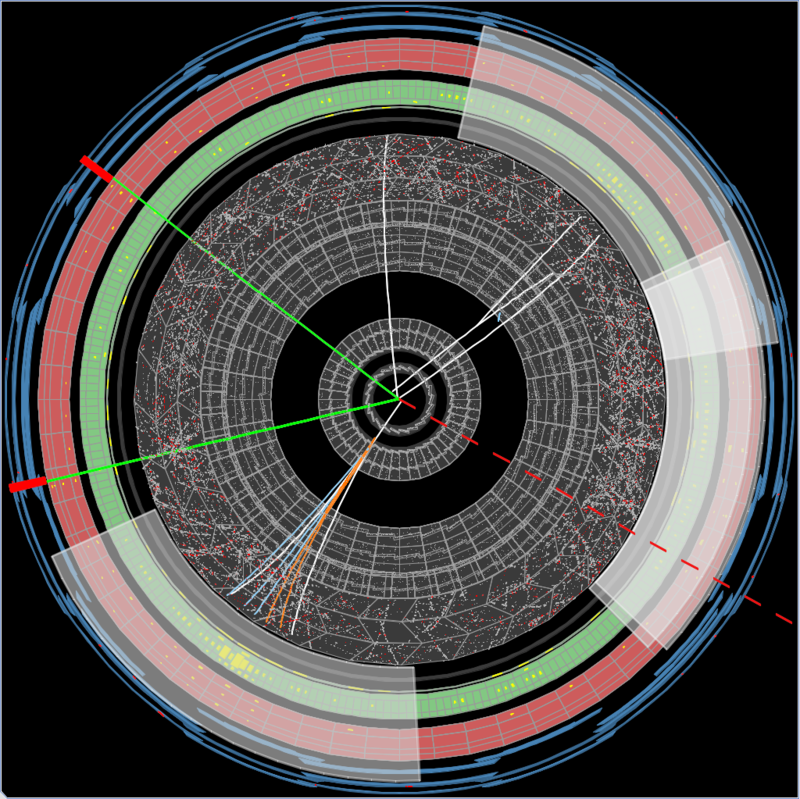 The detectors in the LHC are the spiritual heirs of these slightly less sophisticated methods, but the inferences we can make still have profound consequences. Dark matter provides another example of how the nature of subatomic particles can influence structure on the grandest scale. The predicted gravitational interactions between stars, galaxies and other large-scale structures were inconsistent with the amount of mass that was actually observed. As well as this, the universe seems to be flat – having no overall curvature. At the same time, cosmologists can measure how its expansion is accelerating using the light from distant supernovae. For these results to be consistent, matter in the universe should have a certain average density of around 6 hydrogen atoms per cubic metre: but visible matter is only 4% of this. Most cosmologists are certain that dark matter explains these phenomena, so particle physicists are looking for a new subatomic particle that – unlike protons and electrons – doesn’t interact electromagnetically, and so doesn’t absorb or emit light. Like the Higgs boson, predictions of dark matter have been around for decades, and models that feature it have become very sophisticated, but until it is actually observed there will still be some controversy, with leading alternative models including modifications to our current theory about gravity. One of the historical candidates for dark matter are WIMPs, or weakly interacting massive particles. The fact that we expect dark matter particles to be “invisible” and also stable makes them difficult to detect. A lot of the experiments attempting to detect WIMPs use the same method as the Kamiokande experiment in Japan, which principally looks for neutrinos. A large vat of water, usually deep underground to reduce the effects of background radiation, is filled with detectors which look for the effects of collisions between the WIMPs and the nuclei of atoms in the water. These experiments have not yet produced convincing evidence of WIMPs, and it’s also worth noting that their mass was predicted to be around 100GeV, so not beyond the range of the LHC even in its original run. 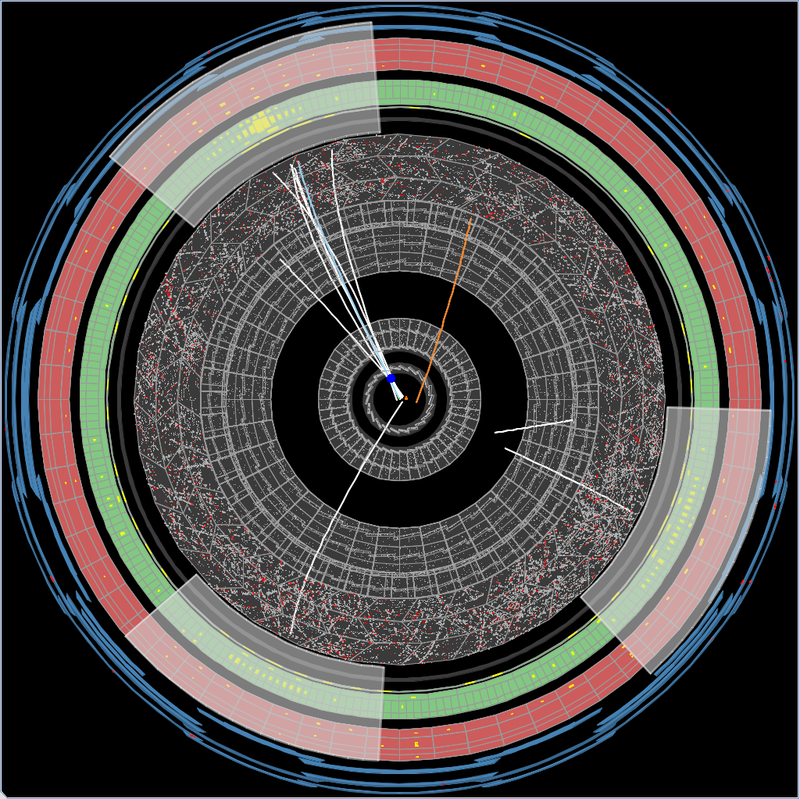 With WIMPs still not yet observed, the search has moved towards more exotic particles. 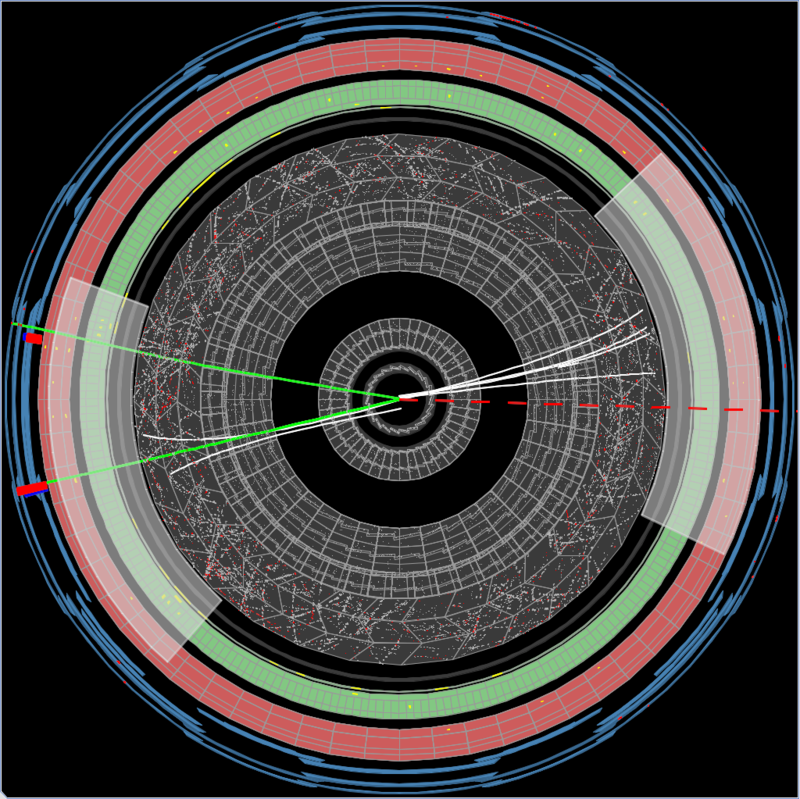 The theory of supersymmetry, which was also discussed in a previous blog post, is a key theoretical development that physicists hope can be confirmed by this run. Elementary particles are divided into fermions, with spin ½, 3/2 etc. and bosons, with spin 0, 1, 2…. 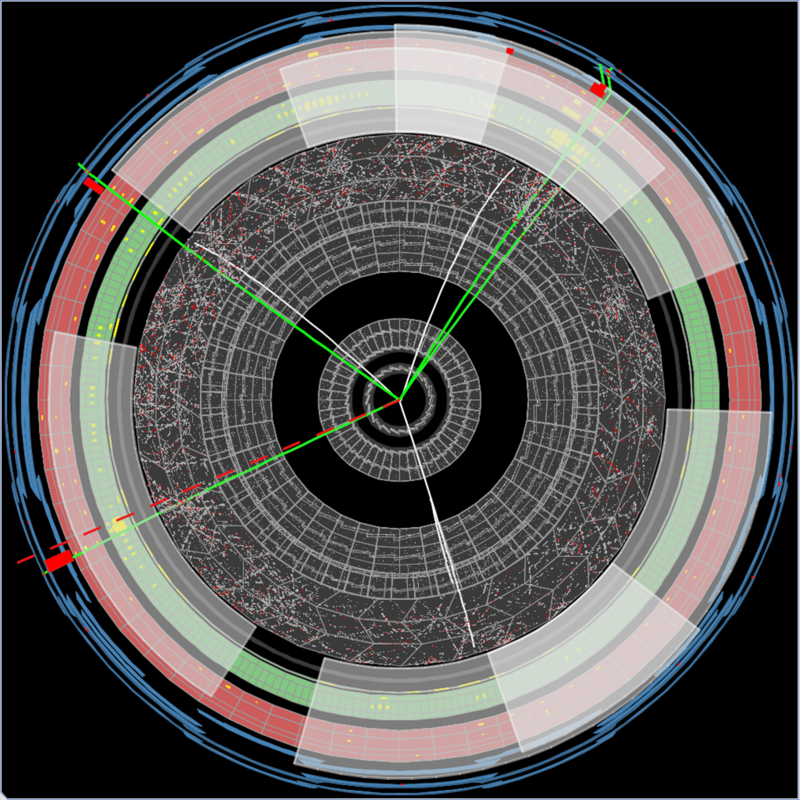 Supersymmetry suggests that for every particle in the standard model there is a partner with a significantly higher mass, and in the opposite category – so for each of the quarks, there’s a “squark”, and for gluons which are the force-carriers for the strong interaction, there are “gluinos”, and so on for every elementary particle. Each boson has a superpartner that is a fermion, and vice versa. 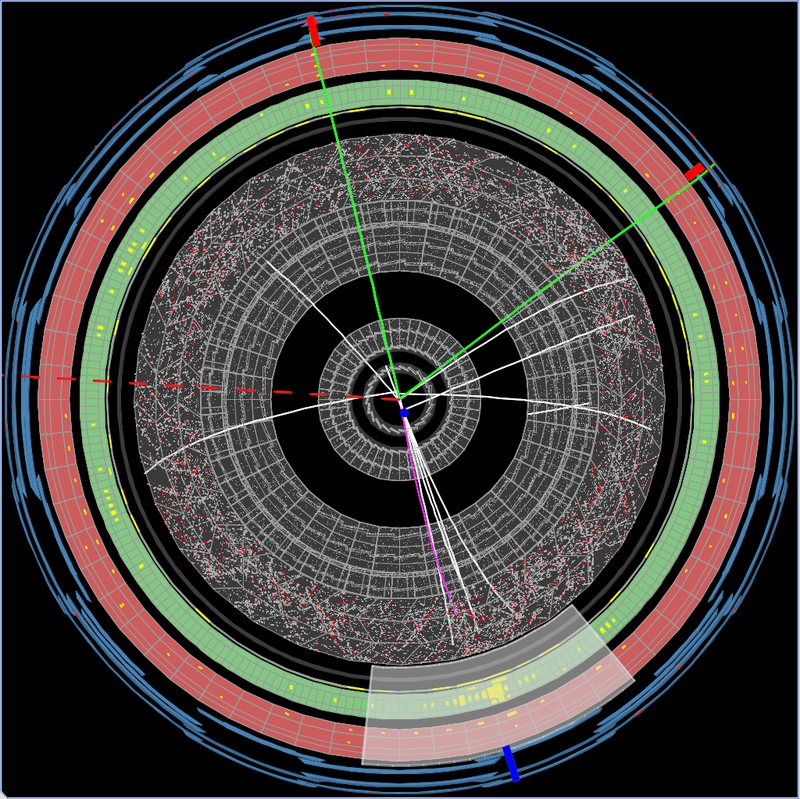 One advantage of the supersymmetry extension to the standard model is that it predicts a set of particles over a range of masses, and the lowest of these is expected to be stable; it could be a weakly interacting particle that still exists from the early universe. Again, the lightest supersymmetric particle could be produced in the LHC, but would be difficult to detect. To date, there has not been convincing evidence of superparticle partners, although the wide range of possible masses that these models allow means that we also can’t eliminate the theory based on data from the LHC. Particle physicists instead focus on narrowing down the possible ranges for the parameters which define this model. 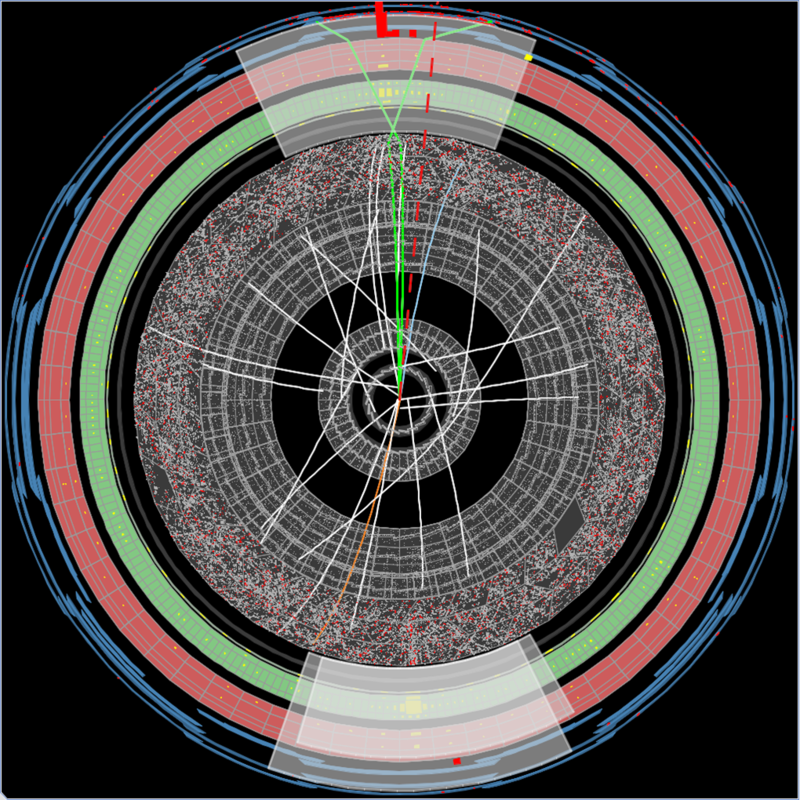 There are other targets for the latest run of the LHC. 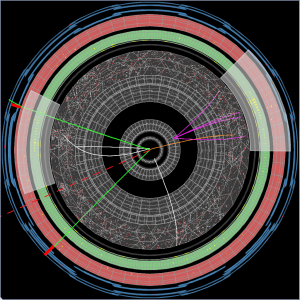 Just recently the news has reported the discovery of the pentaquark – a new type of baryon. 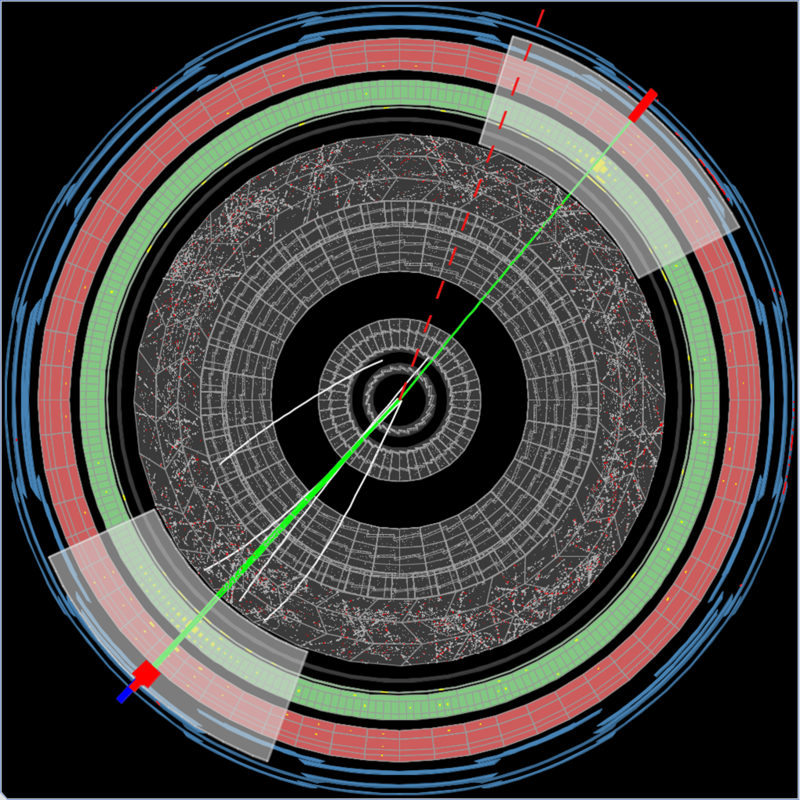 Previously, all detected subatomic particles that were made up of quarks either had three quarks (baryons) or a quark and an antiquark (mesons) bound together by the strong force. As the name suggests, the pentaquark consists of five – more specifically, four quarks and one antiquark, giving it a spin of 1 and a range of possible charges. 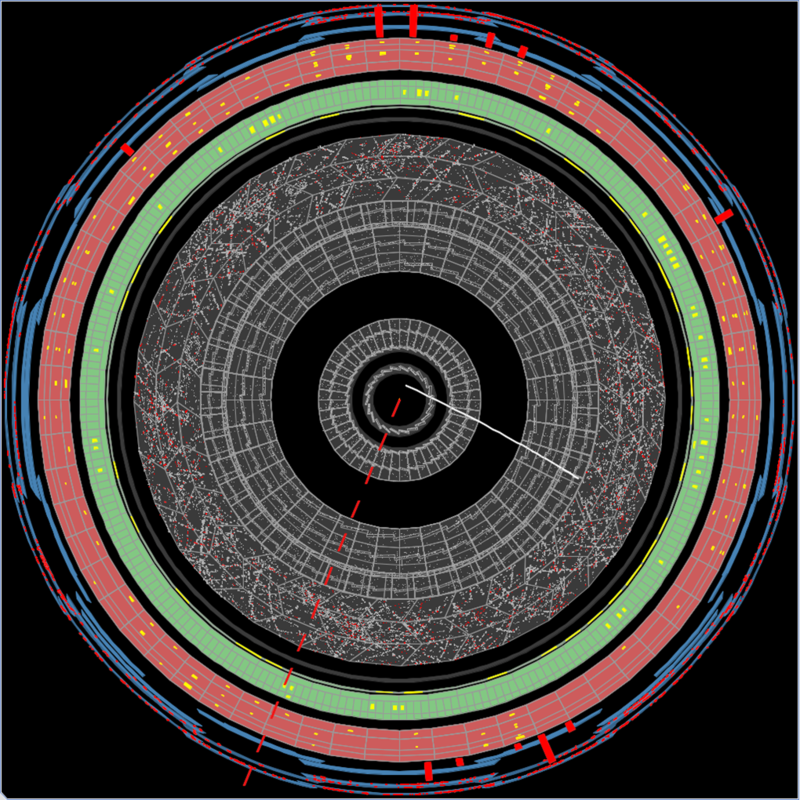 The specific configuration of quarks that has been observed is two up quarks, a down quark, a charm quark and an anti-charm quark. 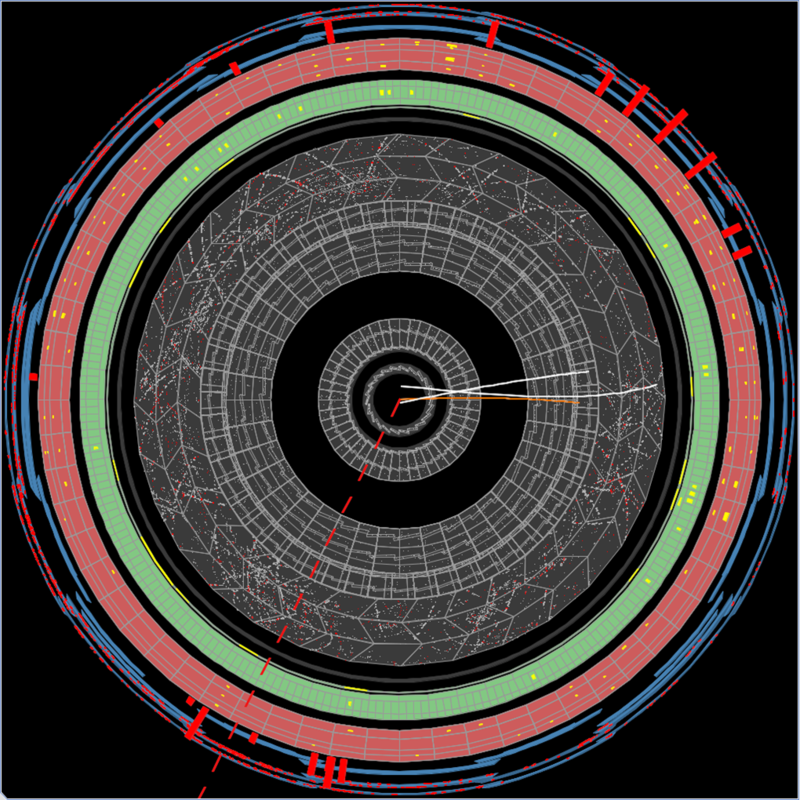 The pentaquark was certainly an unexpected discovery by the LHC, and has not yet been confirmed entirely; scientists are likely to be cautious, because the claims that a pentaquark was discovered ten years ago were eventually refuted. 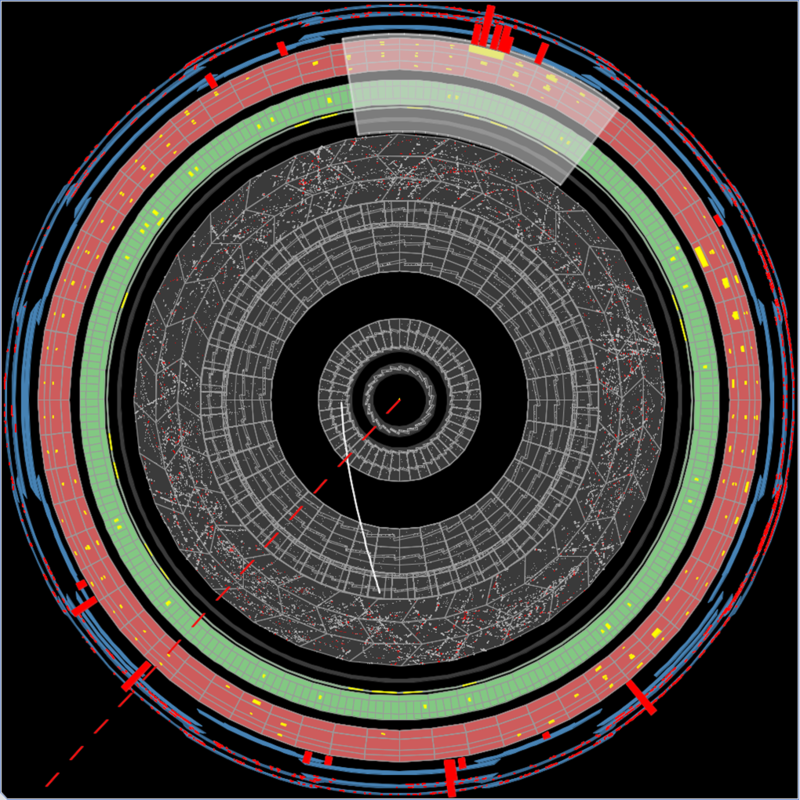 Pentaquarks are not candidates for dark matter, because they will interact electromagnetically, but the fact that new and unexpected discoveries have been made so soon after the start of the new run is indicative of just how much there is left for us to find in the ever-increasing particle zoo! In the next entry, I’ll give you a quick update on the analysis of your clicks so far. Happy hunting! Roger Davis on Vertex-finding successes!